Amtrak Voices is an occasional series in which we talk with long-time Amtrak employees to discover what attracted them to the company, recount its early days and explore changes they witnessed in railroading during their careers. A carman tightens a handhold, 1980. On April 1, 2015, Amtrak celebrated 40 years of ownership of the Beech Grove heavy maintenance facility located southeast of downtown Indianapolis. 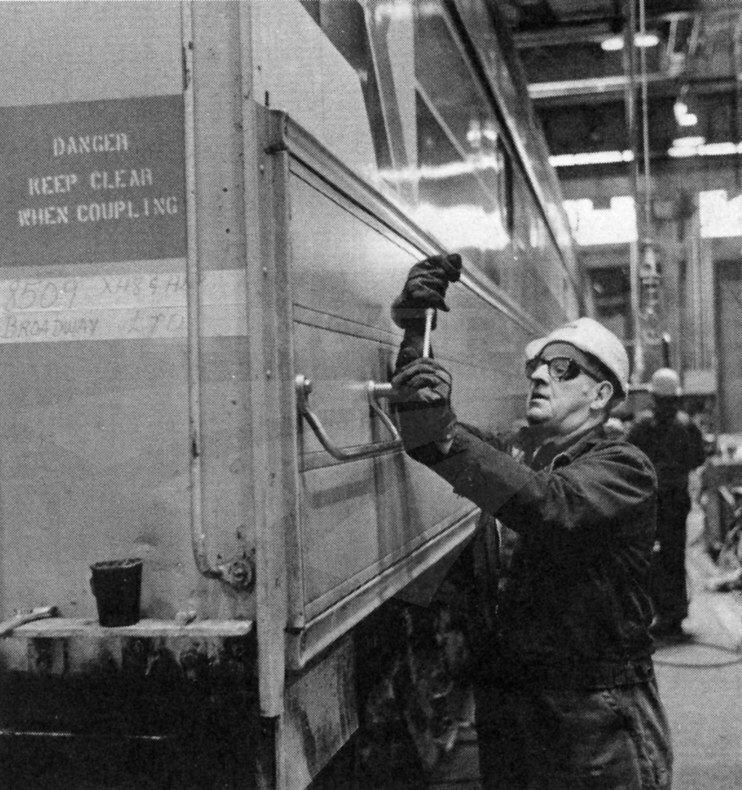 When Amtrak began service on May 1, 1971, the Penn Central Transportation Company controlled Beech Grove and performed contract maintenance and overhauls on Amtrak locomotives and rolling stock. Amtrak purchased the shops in 1975, when there was an acute need for a major repair facility that could accommodate all types of equipment—including the Amfleet and Superliner cars then on order. Amtrak immediately embarked on a five year, $22 million improvement plan to modernize the complex. Today, more than 500 Beech Grove employees rebuild and overhaul Superliner, Viewliner, Surfliner and Horizon cars, as well as P-32, P-42 and F-59 locomotives used across the Amtrak system. In Fiscal Year 2014, employees performed heavy overhaul, periodic maintenance, repainting and other upkeep on 275 pieces of equipment. A dozen employees have been at Beech Grove since April 1, 1975, and we’ll meet a handful in a series of blog posts over the coming months. 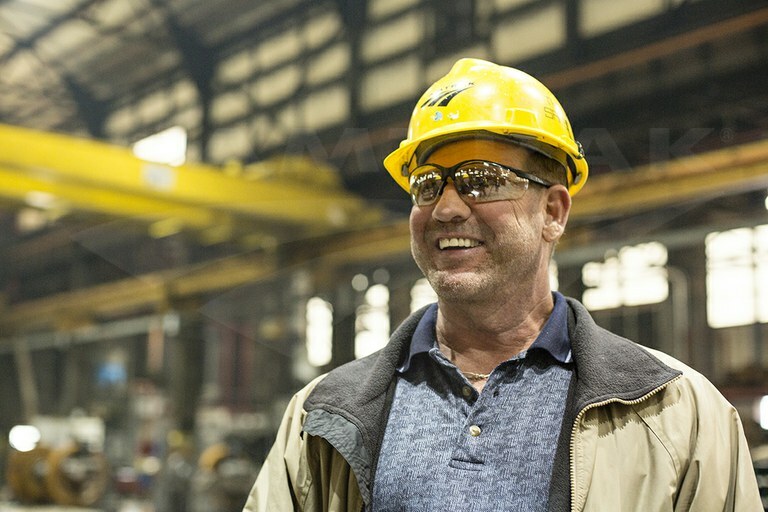 “Railroading is one of the greatest industries, and then to actually work here is a thrill. I love being a railroader,” says Carman John Milenbaugh. He was hired at Beech Grove in January 1975, just two and a half months before Amtrak purchased the facility from Penn Central. His mother knew the plant manager who helped arrange for an interview. Initially he worked as a coal passer—shoveling coal into boilers at the facility’s power plant—but within three months had become a carman helper; a year later he was promoted to a carman. For more than three decades, Milenbaugh has worked in the trim shop on the southeast end of the sprawling property. There he paints cars for Amtrak and the various railroads for which Beech Grove performs contract work. Asked about improvements over time, he cites “modernized spray guns, protective gear and scaffolding.” The latter is necessary to reach the upper portions of the cars and locomotives, especially the bi-level Superliners. Over Milenbaugh’s career, he has worked on five official paint schemes, officially referred to as “phases.” Most of the paint schemes have included the patriotic colors of red, white and blue. The same year Milenbaugh transferred over to Amtrak, the company introduced Phase II which features wide red and blue bands outlined with thin white lines. The current Phase V used on locomotives employs blue and silver and was unveiled in 2001 as part of a company-wide rebranding campaign that also included the service mark now in use: three undulating lines that recede into the distance and provide a sense of movement. Regarding the most interesting projects he has worked on, Milenbaugh mentions the five heritage locomotives and the Veterans Locomotive. As part of the Amtrak 40th Anniversary celebration in 2011-2012, four P-42 diesel-electric locomotives were repainted in the historic paint schemes used by Amtrak between 1971 and 2001. Milenbaugh’s favorite out of the bunch was the P-42 dressed in the Phase I paint scheme—often referred to as the “bloody nose” by rail enthusiasts for its distinctive red front. It includes the first Amtrak service mark, an inverted arrow in red and blue, on the side. The P-42s selected for the historic paint schemes had already been scheduled to receive new paint jobs at Beech Grove. Since 2011, they have been used in regular service around the country and are eagerly photographed by lovers of the railroad. To honor all those who have served in the armed forces, Amtrak painted P-42 locomotive No. 42 red, white and blue. It also includes a specially designed “America’s Railroad Salutes Our Veterans” logo and 50 stars around the bottom. This special locomotive was unveiled on June 26, 2013 during a ceremony held at Washington Union Station to announce an Amtrak goal of hiring veterans as 25 percent of all new employees by 2015. Like the units bearing the historic paint schemes, the Veterans Locomotive operates in regular revenue service but is often paired with the Amtrak Exhibit Train for scheduled events. 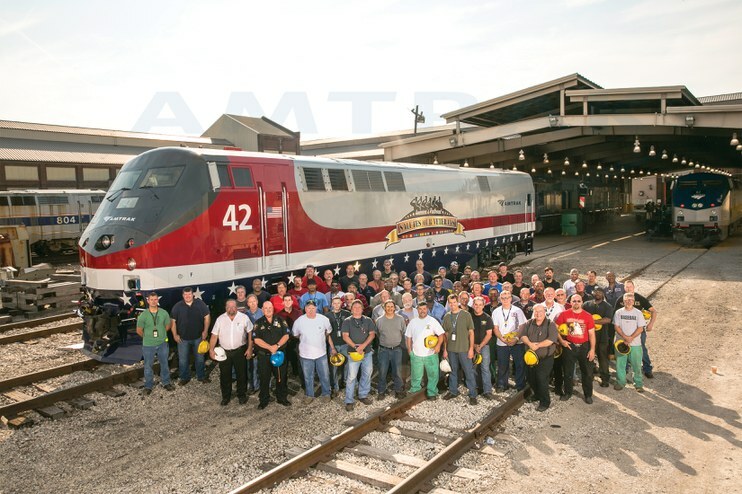 Beech Grove employees pose with the Amtrak Veterans Locomotive. The friendships and memories of four decades shaped Milenbaugh into the person he is today. He credits mentors at Beech Grove who “taught me to be a better man” and handed down the knowledge born of years of experience. Speaking about the next generation starting their careers at the shops, he gives this advice: “Take care of your job, and it’ll take care of you. Amtrak has provided my family not only a good life, but my children’s education [too].” Milenbaugh emphasizes the importance of being a good teacher and mentor—following the example of those who helped him throughout his career at the shops. He also sits on the Beech Grove Improvement Committee, which brings together management and labor employees to identify ways to streamline car overhauls, work more efficiently and focus on business opportunities. “One of the best things about my job and time with Amtrak is being a labor leader because I have a say in how the railroad is run. I appreciate the opportunity to work with management,” says Milenbaugh. Read about Milenbaugh's colleague Steve Osburn. The Amtrak History interview with John Milenbaugh took place on April 2, 2015.